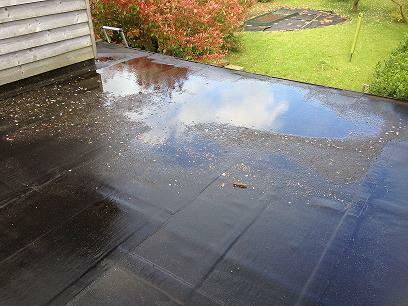 Flat roof areas should always be designed in accordance with Codes of Practice to freely drain water either directly to rainwater outlets or to a gutter section, either off the roof elevation or to an internal box gutter section. Ideally internal box gutters should also be constructed with an adequate fall. 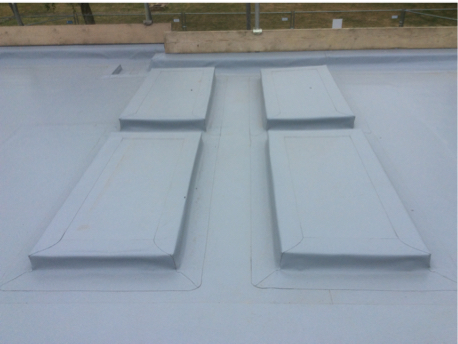 Should a roof area that is fitted with Armourplan PVC or Spectraplan TPE Polymeric membranes suffer from ponding, it will not prove detrimental to the performance or life expectancy of the roofing system, nor will it affect our guarantee. It should be noted that the areas may be affected by a build-up of silt which may be deemed unsightly in addition to which it may prove to be a health and safety issue to any person walking on the roof.